Nettie Blanche Lazzell was born in Maidsville, West Virginia. As a teenager, she studied at the South Carolina Co-Educational Institute, which she followed with four years of study at West Virginia University. In 1907, she left for New York City, and enrolled at the Art Students League where she studied with Kenyon Cox and William Merritt Chase. Lazzell continued her studies in Paris, spending the years 1912 to 1914 at the Académie Moderne. With the outbreak of World War I, Lazzell returned to the United States, and made her way to the burgeoning art colony at Provincetown, Massachusetts, where she planned to study with Charles Webster Hawthorne. Although she did spend some time in classes led by Hawthorne, it was her work with another artist in Provincetown that had a more significant and lasting effect on her work. In Provincetown artist and printmaker Oliver Newberry Chaffee (1881–1944) taught Lazzell the rudiments of the color woodcut technique. Lazzell took to the medium instantaneously, becoming one of its greatest American practitioners, and exhibiting her prints often at the Provincetown Art Association. By 1917, Lazzell was teaching the woodcut technique in her Provincetown studio, and in 1918 she began exhibiting with the Provincetown Printers. 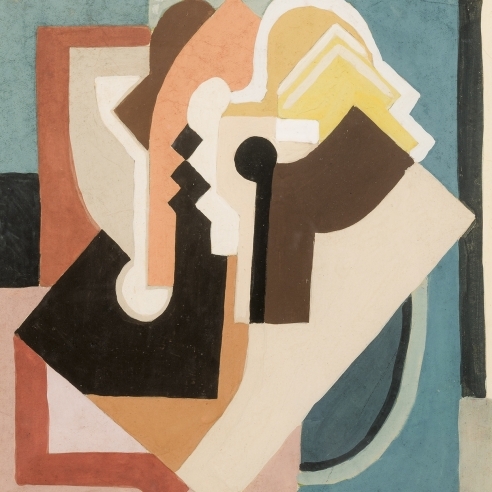 Lazzell returned to Paris for a one-year stay in 1923 where she studied with the French modernists, Albert Gleizes and Fernand Léger. Her time with Léger was particularly influential. The French master wrote an essay especially for Lazzell outlining the way to organize and develop abstract compositions. Thereafter, Lazzell produced a large number of abstract paintings and prints, although around the mid-1930s, she reincorporated landscape and other objective compositions into her oeuvre. 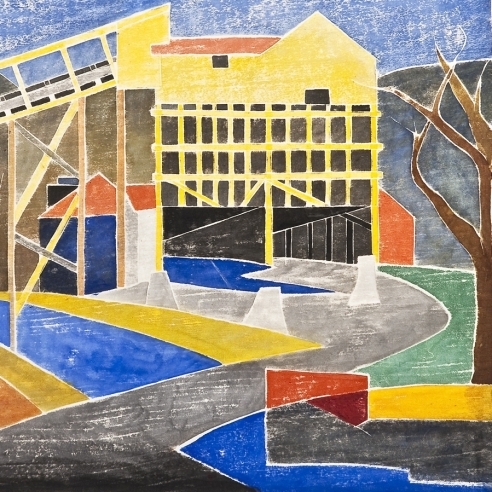 In the winter of 1933, Lazzell moved to Morgantown, West Virginia, to work on Works Progress Administration (WPA) murals there, as well as to produce prints for the organization. She also contributed to the WPA arts project in Provincetown in 1936 and 1938. Lazzell remained in Morgantown until her death, but spent nearly every summer in her beloved Provincetown, producing the woodblock prints for which she is most known today.